I’m a big detective novel reader. But every once in a while I try to stretch myself. And my kids are good enough readers now, that I’ve started to involve them in this. In January, we read through Science Magazine’s Top 10 Breakthroughs of 2016. Now we’re reading a little bit of poetry. I’ve had “Map: Collected and Last Poems” by Wislawa Szymborska on my to-read list for awhile and finally picked it up at the library. I wasn’t really sure what to expect. But the majority of them are short one-page poems, so the boys and I have been reading one or two each night. I’m pretty thrilled that they enjoy them. Every week I look forward to Shutterbean’s “I love lists” post. Some of my favorite links these past couple of weeks: pictures of frozen Lake Baikal, this article on making friends at any time of your life, and words to ban from your vocabulary. I enjoy finding reading and seeing things through her eyes and occasionally find a new blog to follow or recipes our family ends up loving. This winter I decided to do a CSA (Community Supported Agriculture). We get a weekly bag of greens and a dozen eggs. We can also order off the al a carte menu. I love when I make a CSA meal. This past week was a breakfast casserole with leftover sour dough bread, sausage, kale and eggs. The only thing I added that was non-CSA was some sharp cheddar. Delicious! We take Sunday walks. 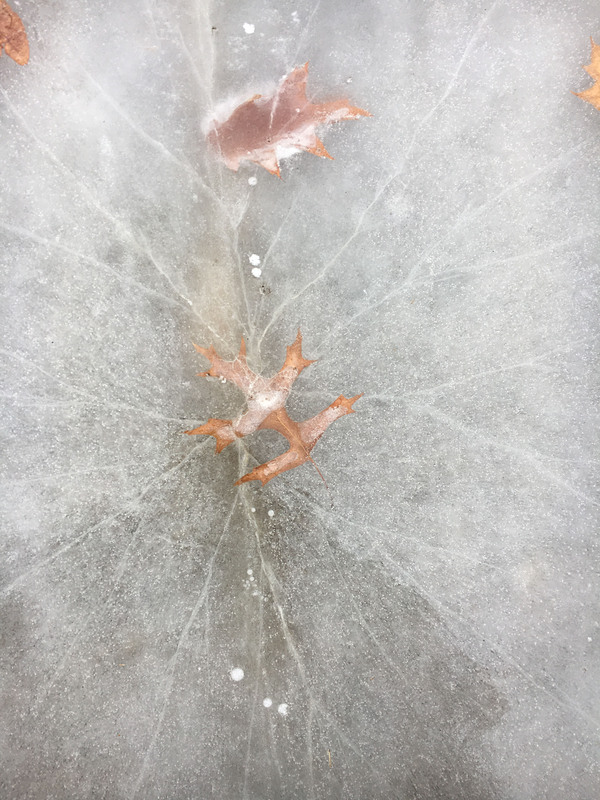 Some beautiful things can be found in the dead of winter. 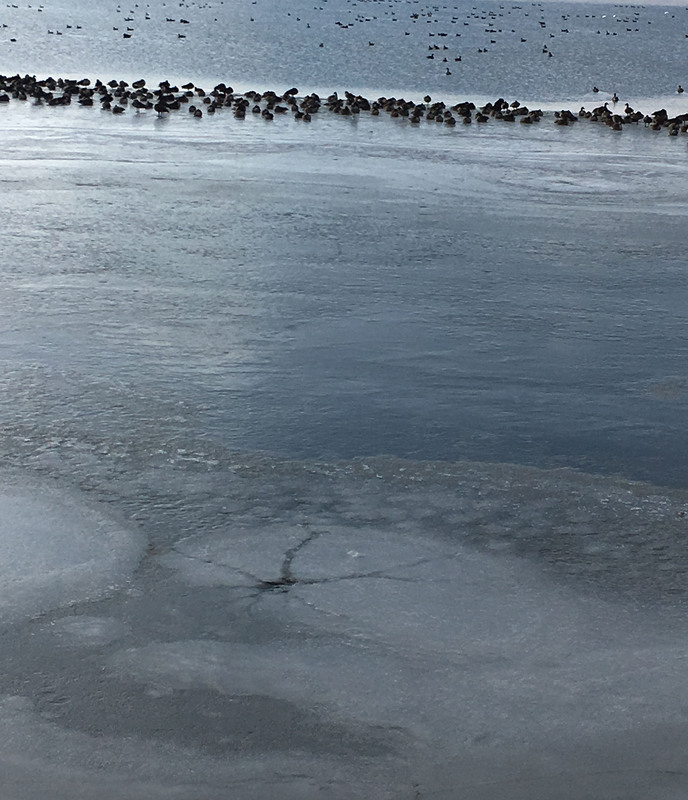 These Canadian Geese were hanging out on the lake right where the frozen lake became unfrozen. Very cool…and then my kids scared them to the other side. This entry was posted in Uncategorized and tagged Colette, little labors, QuiltCon, Serial podcast. Bookmark the permalink.